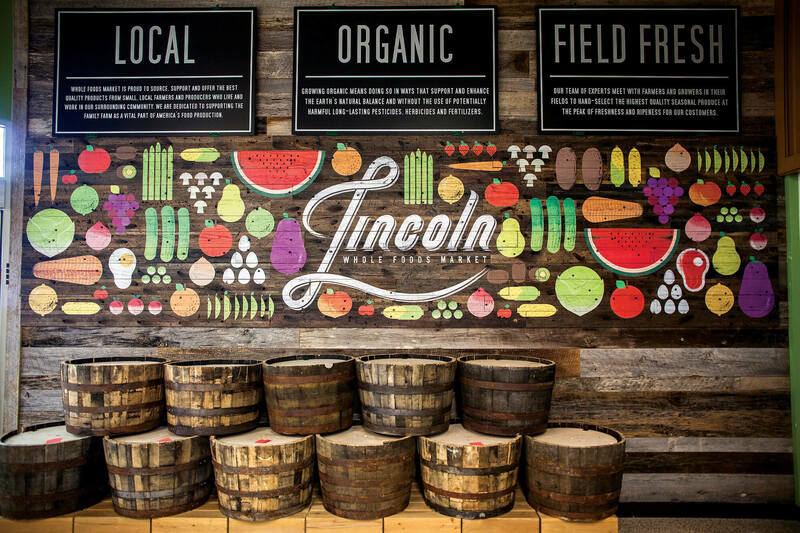 When Whole Foods Market decided it was time to open a store in Lincoln, NE, they enlisted me to help them beautify the new location. 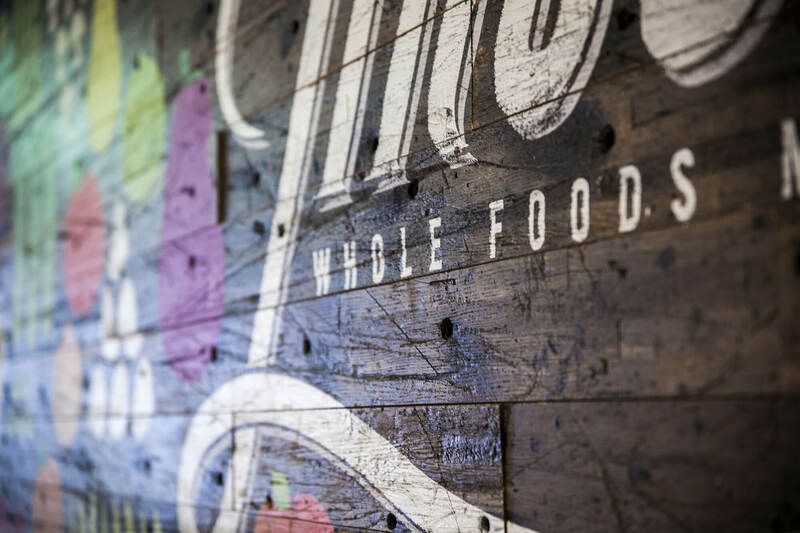 I partnered with their creative team to create a large mural for the front entrance. 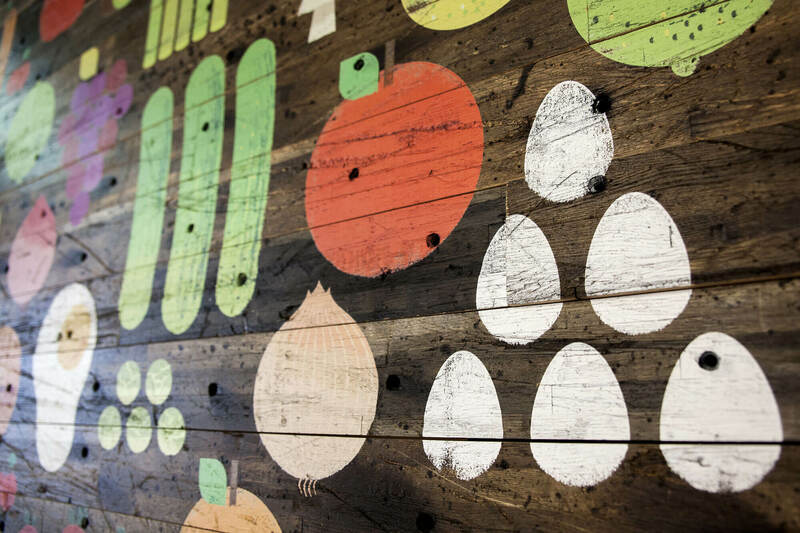 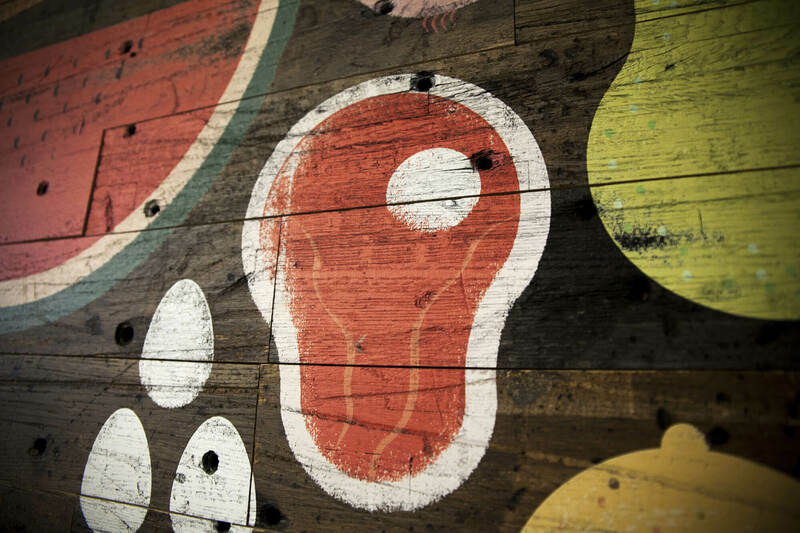 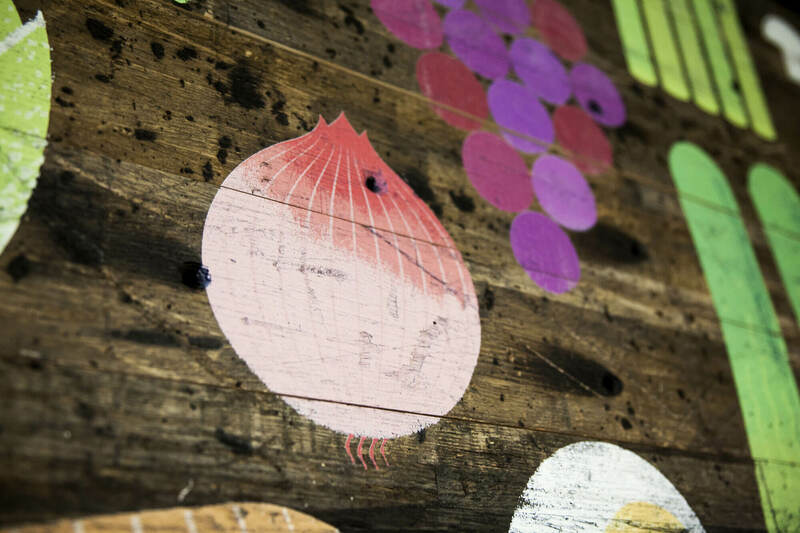 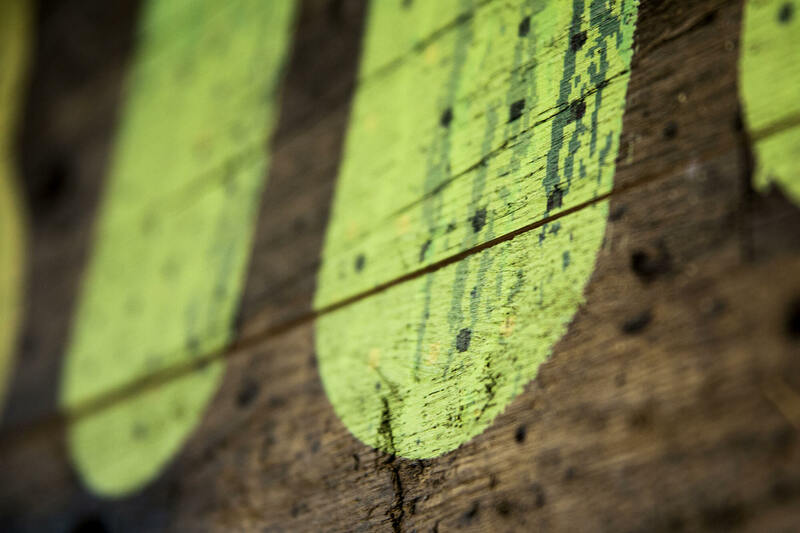 Inspired by some of Lincoln’s turn-of-the-century fruit and produce vendors, I painted over a hundred fruits, veggies and other foods that ended up decorating a wall made of rustic reclaimed wood. 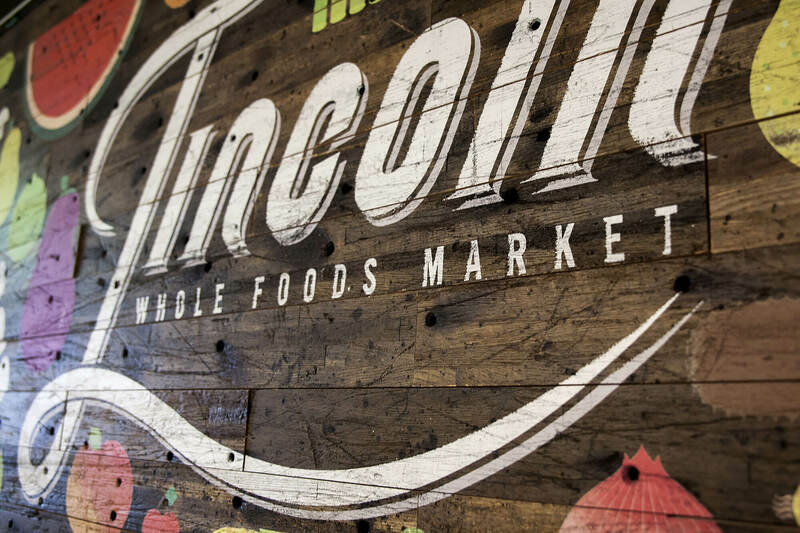 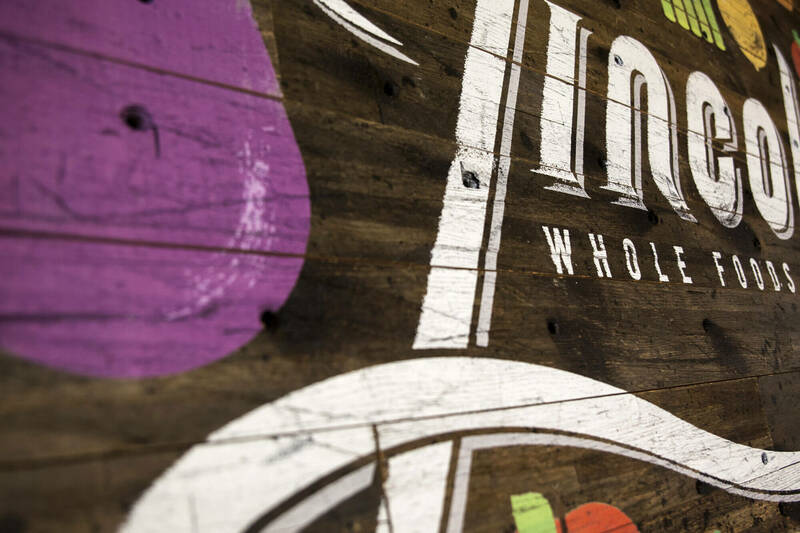 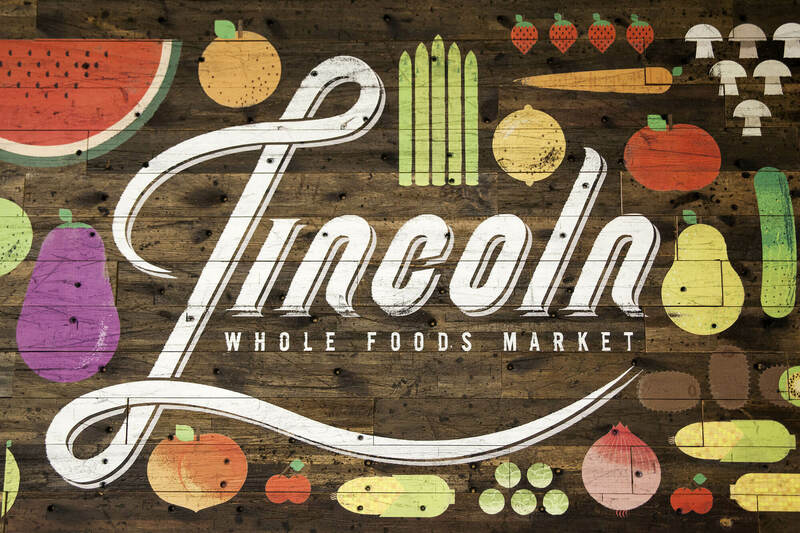 My custom Whole Foods Lincoln logotype harkens back to the early 20th century sign-painting that still decorate the walls of Lincoln’s historic buildings.